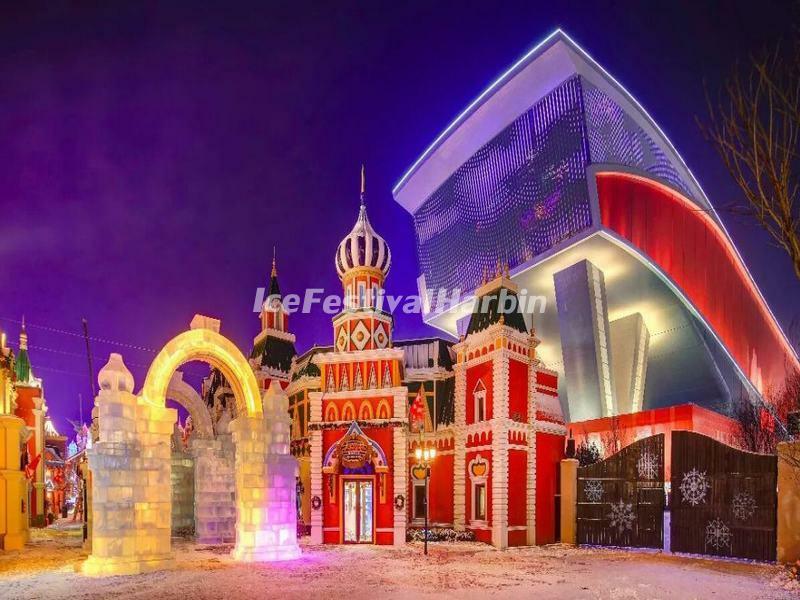 Harbin Wanda Ice Lantern World has become an important component of Harbin Ice Festival since it first opened to the public on Dec 22, 2017. 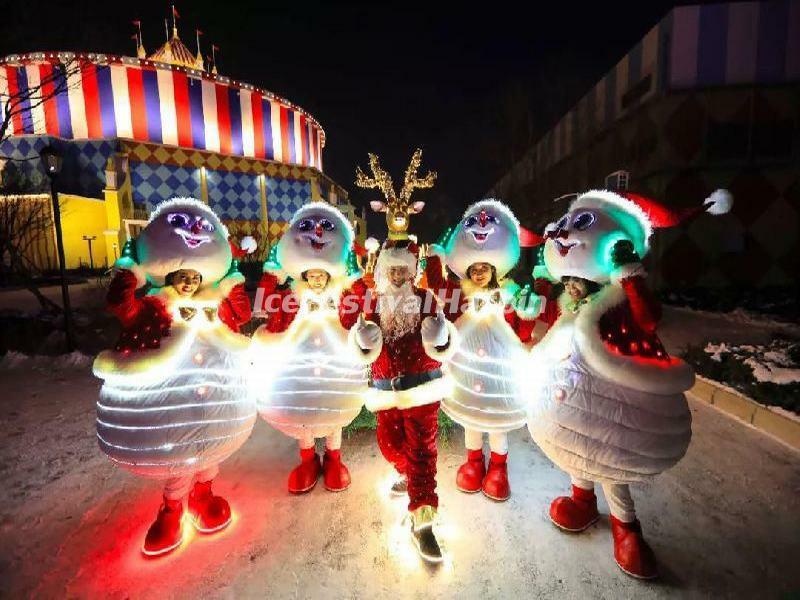 Located in Wanda Theme Park, this fantastic ice lantern theme park covers an area of 500,000 square meters. 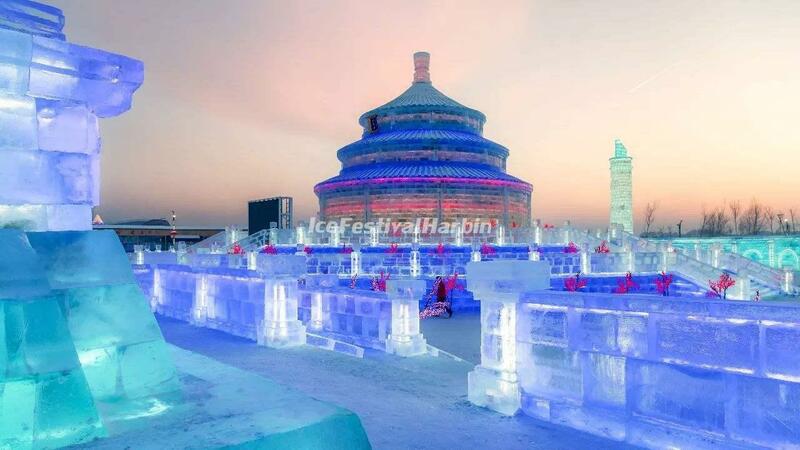 50,000 cubic meters of ice and 10,000 cubic meters of snow were used for the construction, with a total investment of more than $15.25 million. 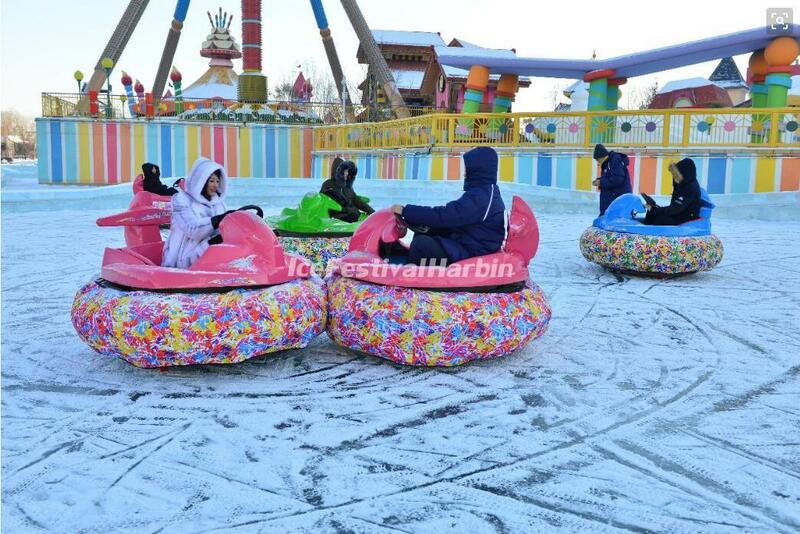 The park operates from late December to the end of March, running through the entire Harbin winter. 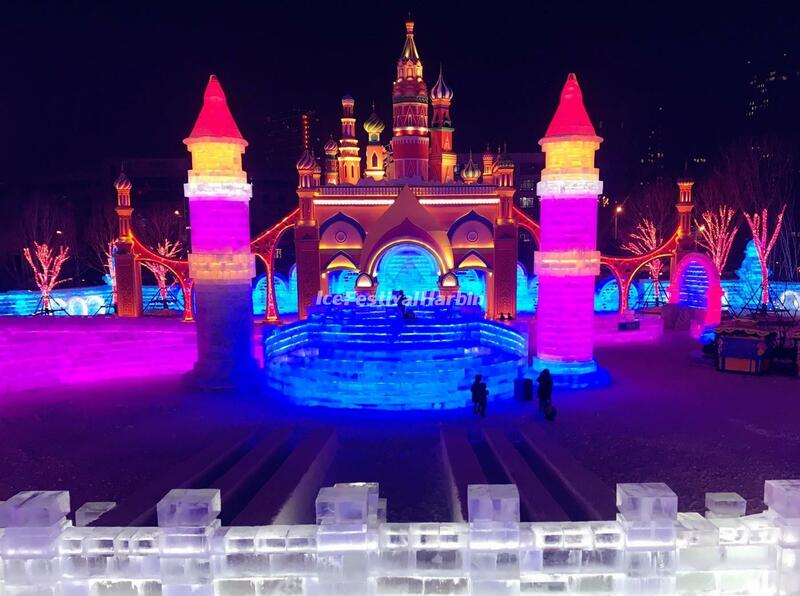 On top of the traditional ice lanterns and sculptures, the park also features various winter activities, singing, dancing and acrobatics performances, as well as authentic cuisines from different countries. For example, a mini ice expo was built inside the facility, comprised of restaurants that serve cuisines from six countries, including Chinese, Korean, Thai, Russian, German, and French, providing customers with a one-stop experience of exotic culinary cultures. 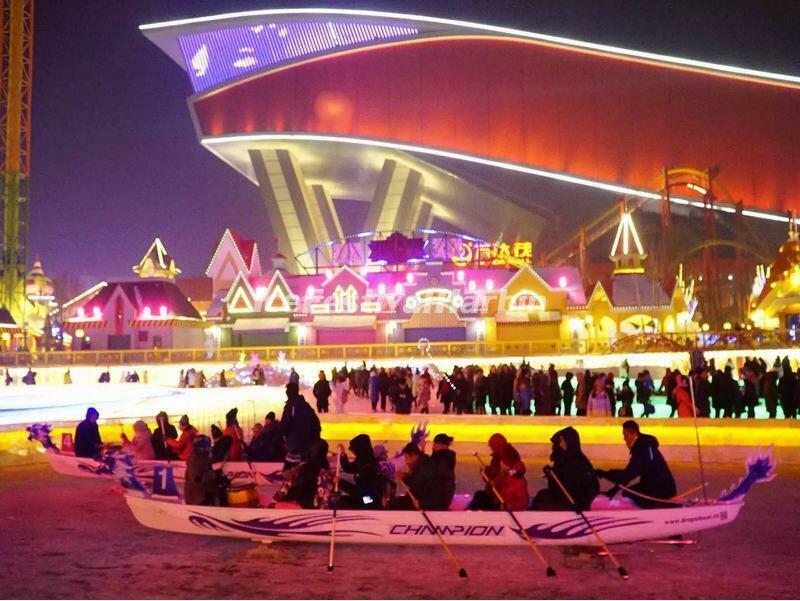 Unlike other theme parks of Harbin Ice Festival, Harbin Wanda Ice Lantern World introduced other activities such as fairy-tale night circuit, snow football, ice tug-of-war, ice bowling, and winter dragon boating rowing etc, creating more fun activities for visitors to the park and encouraging visitors to exercise. Additionally, the park also introduced some 5D and 6D theaters, which perform foreign dances and project some interesting ice and snow theme films.